The issue, iPhone attempting data recovery, has proven to be a common occurrence, which happens always when you make an iOS (iOS 12/11/10) update with iTunes. To be specific, it will take long time to conduct the 'attempting data recovery' process without further response. If you are unfortunately caught up in this iOS issue, you should not miss the following 3 solutions listed in this article. 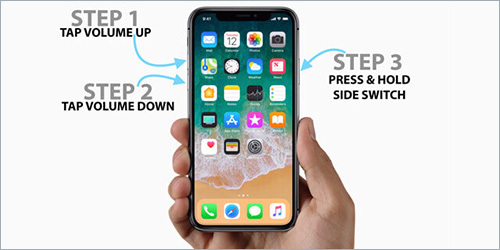 For iPhone XS/Max/XR/X/8/8 Plus: quickly press and release the "Volume Up" button, followed by the "Volume Down" button; then press and hold the "Power" button or the "Side" button until you can see the Apple logo. For iPhone 7/7 Plus: Press & hold both the "Power" button and the "Volume Down" at the same time for around 10 seconds to wait for Apple logo appears on your iPhone screen. For iPhone 6/6s or earlier: press and hold the "Power" and "Home" buttons at the same time; release them until you can see Apple logo on the screen. 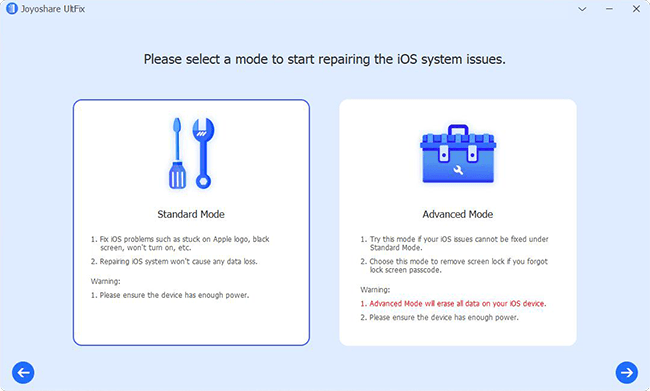 It's pretty convenient for you to use iTunes to fix iPhone stuck on attempting data recovery issue. If the first force restart solution is not practical, just give this one a try, which is reported as a helpful way from Apple discussion. Step 4: Now click on the "Update" option on iTunes to reinstall iOS and set up iPhone (please keep iPhone connected during the whole process). If you prefer to apply a way to fix Apple iPhone attempting data recovery without data loss in a professional manner, Joyoshare UltFix is a good option. It is able to get your iPhone back to normal status in just few simple clicks. Most important of all, this excellent software has ability to free enter or exit the recovery mode instantly with only one click. 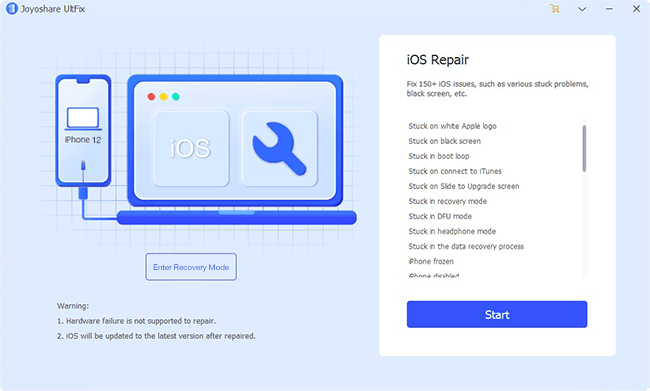 It's also powerful enough to fix 30+ iOS issues, including iPhone keeps restarting, iPhone stuck in boot loop, iPad frozen, activation error, iPhone no service, iPad is disabled connect to iTunes, etc. 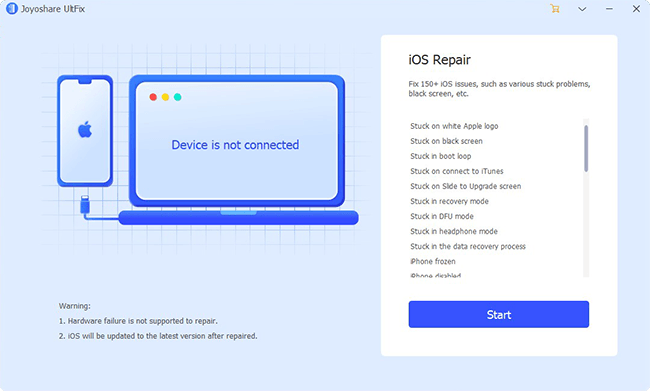 Download & install Joyoshare UltFix iOS System Recovery on your computer and connect the iPhone that stuck on attempting data recovery. Simply press on the "Start" button to continue. To make no data lost, you should choose "Standard Mode". Then follow the onscreen instruction to put your iPhone to DFU Mode or Recovery Mode step by step. Notably, you can also do it in the main interface with "Enter Recovery Mode" option. This program will detect and display your iPhone device info. 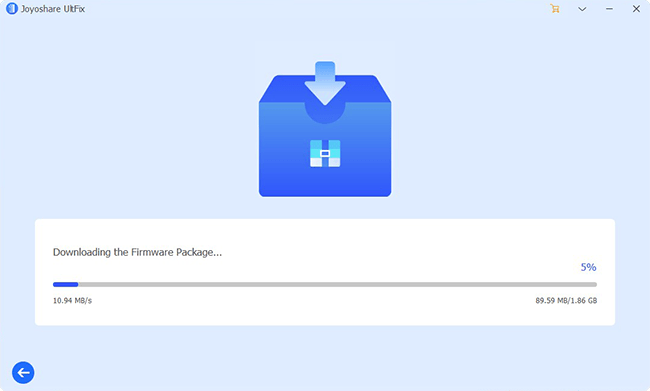 Check it by yourself and click the "Download" button at the right button to start to download and verify the firmware package. 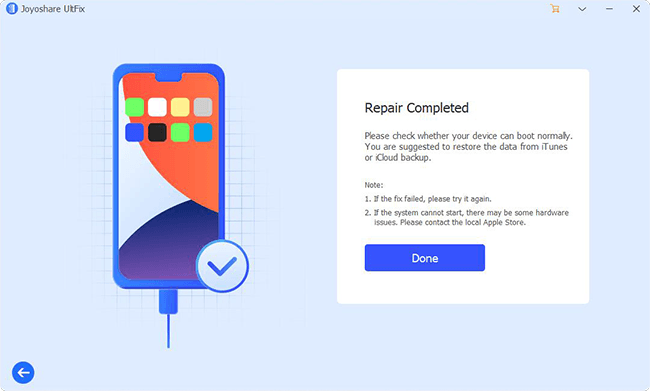 After Joyoshare UltFix finishes downloading and verifying firmware package for you, you can go to press on the "Repair" button to let it repair iPhone stuck on attempting data recovery problem. 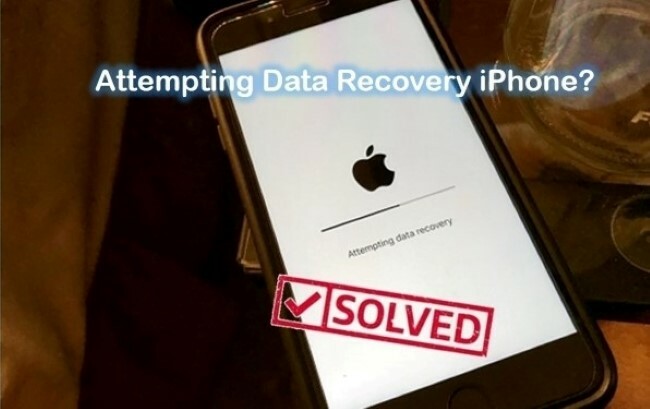 You can consider selecting whichever solution as your own will to fix iPhone attempting data recovery issue. All of them are easy to operate with just few clicks. However, if you unluckily get some important data lost before or after repairing this issue, you can ask Joyoshare iPhone Data Recovery for help. It can recover up to 20+ iOS data from your iDevice, iTunes or iCloud backups fully or selectively.